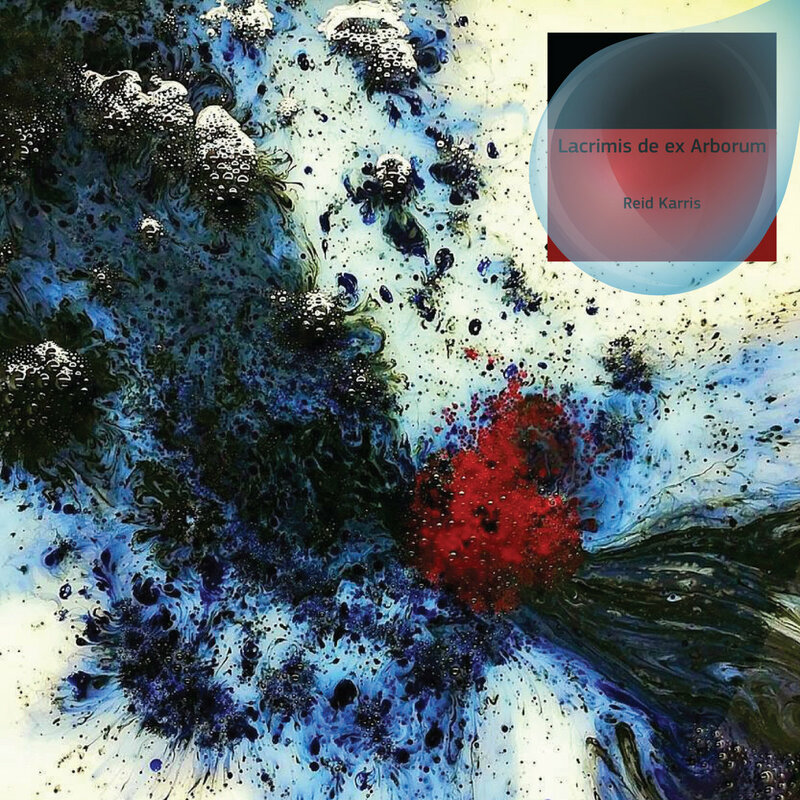 'lacrimis de ex arborum' is the latest album by chicago experimental composer reid karris. i think the title means 'the tears of the trees'. each song is an improvisation for percussion and prepared guitars, named after a different species of tree. i hear each free/noise/jazz jam on this album as a meditation on the suffering of trees under the anthropocene regime. worth listening to, worth thinking about. 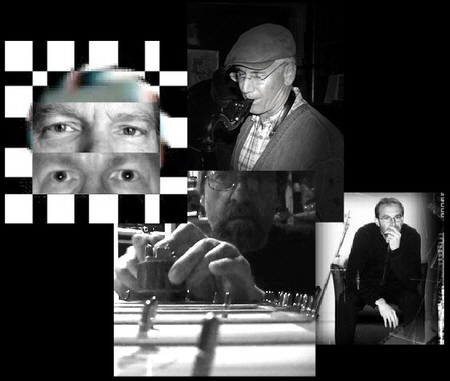 the album is available from the greek netlabel plus timbre. sundog is one of several names used by boston musician jonathan nankoff. his latest album for this identity is called 'dead stops symmetry'. it features some songs you might recognize if you were a fan of jonathan's live album, released earlier this year on dying for bad music. 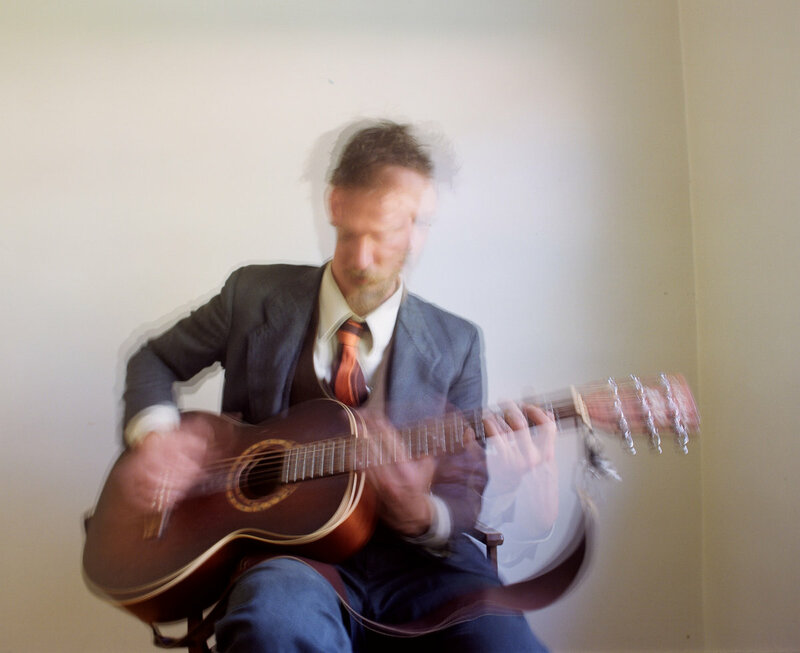 on 'dead stops symmetry' jonathan takes his eccentric and personal songs and twisted avant garde guitar playing and fleshes it out with sparse overdubs. the concurrent parts are often very similar, perhaps a nod to the 'symmetry' in the title. the music is reminiscent of jandek but a lot more deliberate sounding and oriented around unique song structures. jonathan nankoff has a one of a kind guitar style, which you can hear expressed by itself on another bandcamp where he keeps his guitar soli work. all his stuff is recommended. 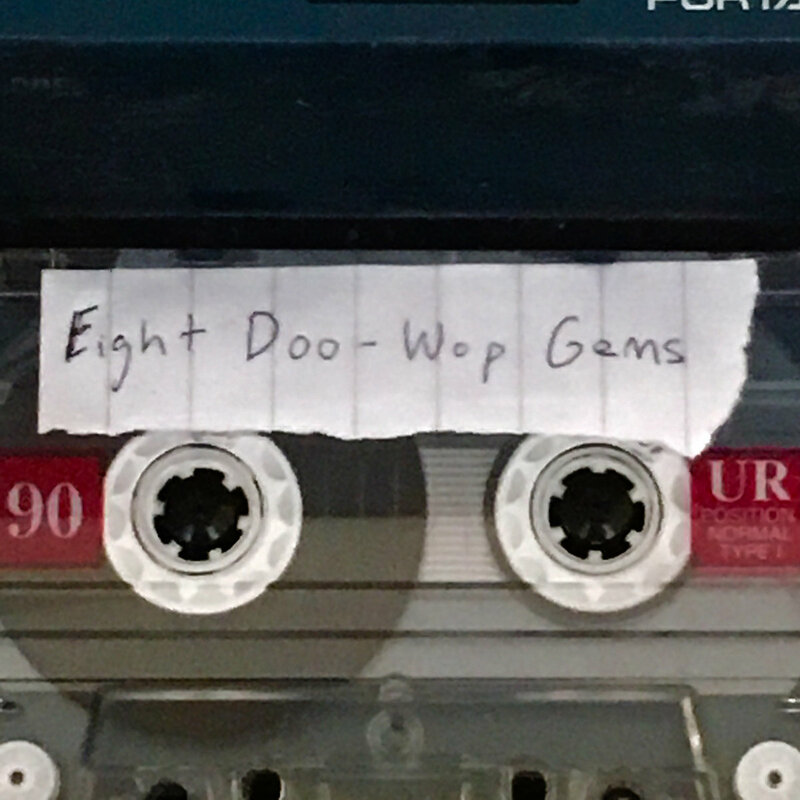 'eight doo-wop gems' by chicago musician jungle h. green is the kind of thing i really love to find in the MFOA inbox. with the exception of a cover of bobby darin's 'dream lover', the doo-wop gems here are all original, mostly recorded lofi style with and air organ, snare drum and handclaps. there are exceptions, such as 'oh, mary' and 'all my love is gone', which seem to be recorded over other existing songs, making for a spectral, post-modern effect. for the final track, 'you ran away with my heart', jungle enlists the help of a few other musicians and a studio to produce the track a little smoother, making for a gentle end to this beautifully strange and anachronistic piece of art. brooklyn based rock band woodsy pride sent me their christmas album to share, but i have trouble getting a handle on a band's sound based on holiday music so i'm sharing their latest non-christmas release, 'live at the all hands house'. the live setting is good for woodsy pride, the subtle interplay and musical connection between this power trio is immediately apparent. the music has that classic quality of being tight and loose, soothing and exciting, at the same time, and the tones sound great captured live into a tape machine. there is a timeless quality that lands somewhere between jam band chops and weirdo folk charm. recommended. mr. mom is an austin, texas based musician who uses his 'teflon beast' bandcamp page to host weird sounds from him and a variety of collaborators. i figured i'd share the latest mr. mom release that was not christmas themed, which is called 'present tense (raw sounds #3)'. it's a lengthy collection of instrumental hip-hop beats built out of keyboards, drum machines and an eclectic bunch of samples. the samples are listed and range from bach to seinfeld. the beats flow together well, the lengthy collection of short compositions reminds me of listening to a j dilla beats record, like 'donuts'. highly recommended. lucas biespiel is a portland, oregon based singer/songwriter and violinist. 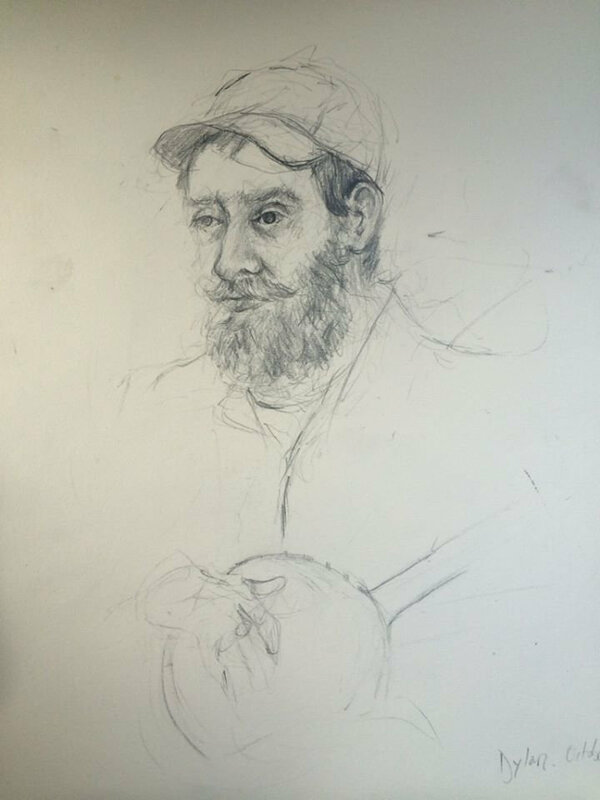 he works solidly in the realm of americana and roots music. his latest EP is called 'tired of singing love songs'. it's a collection of melancholy, blues inflected folk songs. the delicately finger picked guitar has a dusty tape warble to it and lucas's high, clear voice has a warm reverb, giving the production a late night living room feel. roy peak is a singer/songwriter and multi-instrumentalist based in jacksonville, florida. he sent me a cover of gillian welch's 'look at miss ohio' to check out, but i'm more inclined to share his 2014 album of original songs, 'all is well'. it features some pretty great, dark, sad-luck songwriting, shack shaking cow-punk production, and desperate, heart-on-the-sleeve, paul westerberg-esque singing. i recommend it. the gillian welch cover is the lead single for a new album, coming soon. it's very hard to describe the 1957 tail-fin fiasco without mentioning how much they sound like steely dan. they sound quite a bit like steely dan. these british rockers have the accomplished chops it takes to pull off that sort of sound. their new EP is called 'the 3 song drive'. despite the title, it's four songs of witty, jazz inflected rock propelled by funky guitar and bouncy e-piano. 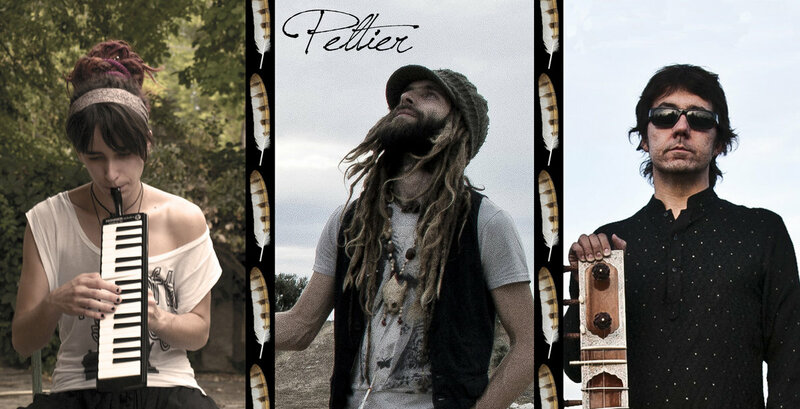 peltier is a spanish world/rock band. their sound blends various types of folk music from around the world with the vibes of the american west and an activist ethos. they take their name from wrongly imprisoned american indian movement (AIM) member leonard peltier. their latest release is called 'mitakuye oyasin'. the menders are a 4 piece band from north carolina. they work with a complex sound informed by the classics of pop, rock and soul. their newest jam, 'where are you now' features an updated phil spector sound to the band, with big pop choruses and a ragged, soul-screaming lead vocal. erin pellnat is a singer/songwriter based in brooklyn, new york. her debut EP is called 'dream in color'. her complex, personal songs are presented in deep, dark folk grooves with heavy rhythmic jazz influence. i especially like the latin swing of 'happiness and blue skies'. 'i need you/you need me' is the latest single from canadian singer/songwriter isaak salomon. it's a laid back contemporary crossover country jam sung in a sultry croon. isaak is from the island of vancouver, but the vibes of this song are more florida keys or hawaii. good if you like your twang chilled to the max. wolfgang michael is a singer/songwriter from germany. his debut self released EP is called 'my river down the lane'. it's a polished 1st effort. the songwriting has an intimate confessional folk angle, but the production has some modern/contemprory atmospheric touches from various keyboard instruments. the title track is a nice vocal duet. 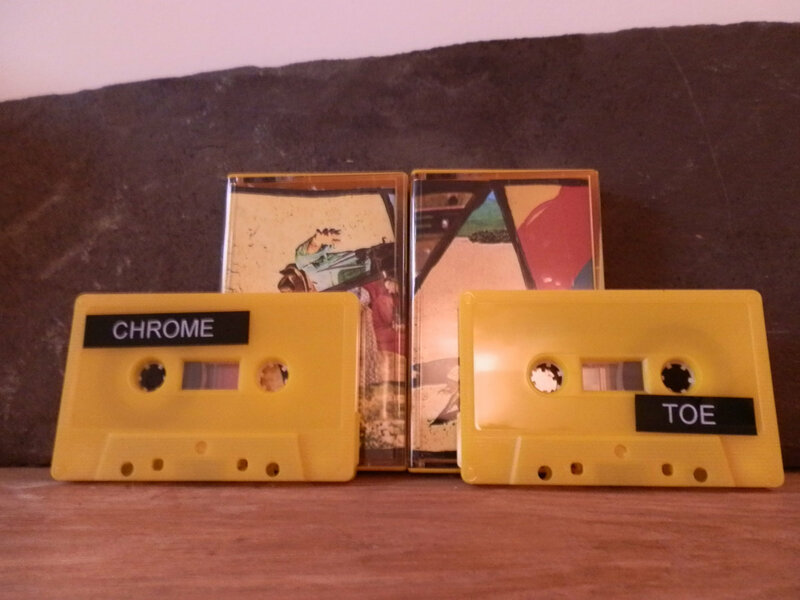 prolific welsh DIY recordist pulco is back again with a new one called 'chrome toe'. this is definitely his most experimental, abrasive release to date. it also has my favorite pulco song so far, 'gutted', which i got to preview an early version of a few months back. his many earlier releases prove that pulco knows his way around a sunny british pop/rock melody, but the only time that faculty is put to use on 'chrome toe' is as an jammed in part of a disorienting collage with undulating electronic drones and stabs of jagged guitar. the atmosphere of this album is bleak and dystopian; skittering drums, cold tones, angry rants, sad, lost horns and deadpan recitations. relentlessly dark and strange. for the times. get it digitally here, or on cassette from liquid library. 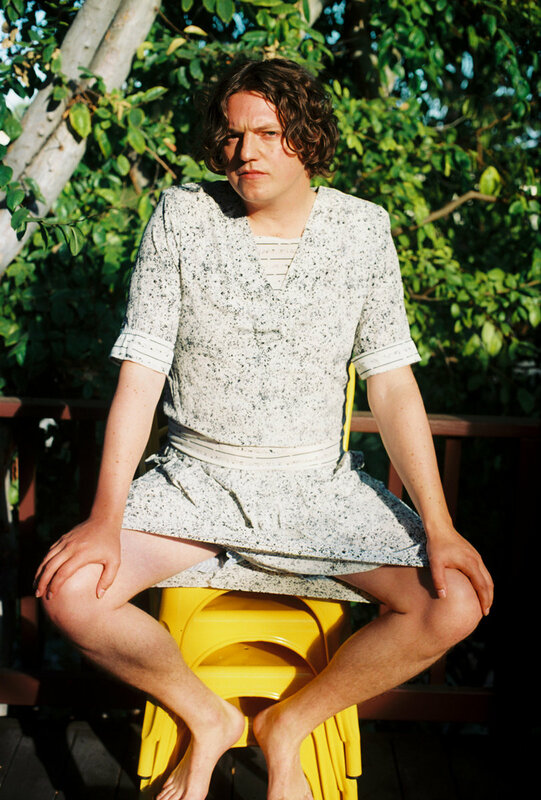 beloved other, AKA dayvid mcclung, takes a novel approach to releasing his music via bandcamp with his 'beloved other and the instant chain (a songbook)'. instead of existing as a set album available for download, it's an ever-changing collection, with each track available individually, versions subject to change or removal, with new songs always being added. i always appreciate when someone thinks of a new way to use the platform bandcamp has offered. musically, 'beloved other and the instant chain (a songbook)' is a series of slow, dark, atmospheric folk/rock songs, centering mainly on acoustic guitar and distant vocals. in keeping with the shifting nature of the release, some songs are subdued demo versions, while some, like 'diamond spring everlasting', are fully realized dream rock jams. 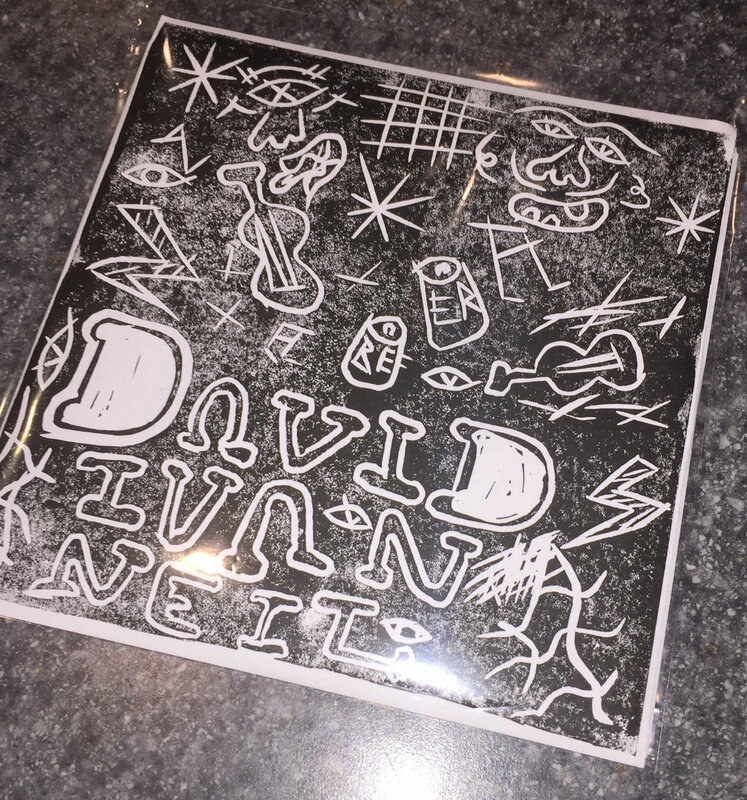 canadian lofi artist david ivan neil has a ton of releases, and i have featured most of them on MFOA. here is his latest, 'keepin' on'. as usual, there is a deep outsider feel to this roughly recorded, intensely personal folk music. this album in particular has a overwhelming vibe of heartbreak, rendered in a naive art-brut bedroom pop style. honestly it's not easy to listen to, it's very sad. but despite the sadness, the themes of seasons and life going on implies that for the character in these songs, time might heal some wounds. 'keepin' on' is available on a super limited lathe cut 7" made by austin potter who you might know by the name tapes & tubes if you follow this spot. get it here. new york noise/pop artist yuzima is back with a provocative new song called 'athiest'. the accompanying video was shot partly in the iconic st. louis cemetery in new orleans, which you might remember from that acid trip scene in 'easy rider'. 'athiest' is the opening jam to his latest EP 'living off the land'. it's a catchy, distorted song about modern problems, with a memorable 'ooooh' hook, a lofi michael jackson move. 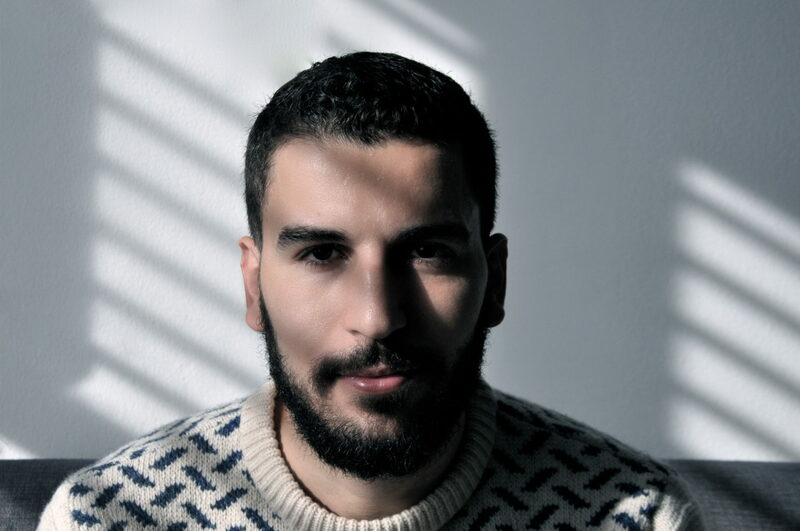 tristâme is a syrian born singer/songwriter who calls new york city home. his latest song is called 'grey together', a eulogy for a romantic relationship that could have been. tristâme's music draws on international folk traditions as well as the singer/songwriters of the 60's and 70's, making for a haunting, ephemeral sound. check out the 2013 EP 'common ground', proceeds from which go to organizations that help syrian refugees, who still need it three years later. bones jugs is a whimsical and very tight post-modern jug band from illinois that features a lightning fast xylophone. their music is rooted in the beale street shouts and shuffles and scratchy 78 rpm records of the 1920's, the original jug band sound. unlike many modern/revivalist jug bands, bones jugs avoids the shambling street corner musicianship and songbook of standards, opting instead for fast, chops-heavy original jams that reference the tradition. their latest album is called 'don't wast a drop'. garrett douglas is a singer/songwriter from atlanta, georgia. 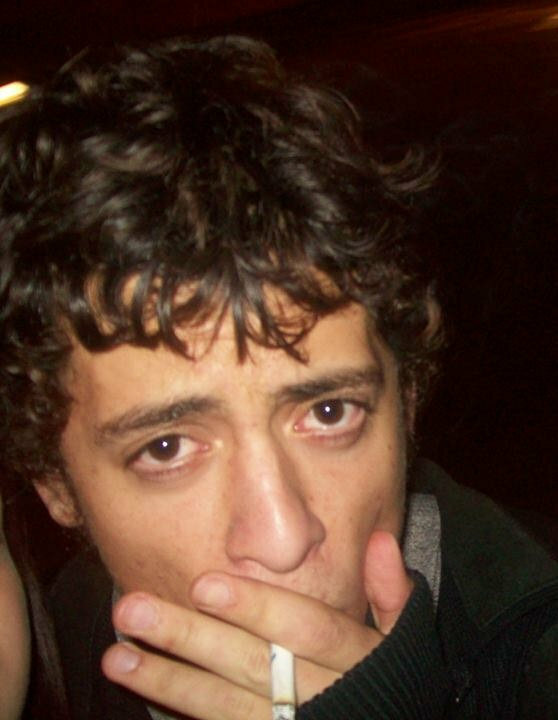 his songs are romantic, and he has the vocal abilities to lay down a john mayer-esque croon. on his latest album 'garrett douglas vol. I', the tunes are presented simply, mostly just guitar and voice, with a leads, harmonica, ukelele, light piano and percussion in spots. garrett plays all the instruments and the album is completely self produced, with unusually smooth results. 'sound of a spark' is the latest EP from canadian singer/songwriter david stone. it's an intimate collection of concise, personal folk ballads, with simple production that honors the songs. i especially enjoy the bubbling, finger picked electric guitar, lone voice and sense of place in 'saint lawrence', my favorite song on the EP. these production choices provide contrast to the acoustic guitar and harmonies present in the other tunes. altanta, georgia based singer/songwriter eliot eidelman is back with an excellent new album called 'different now'. recorded in nashville on fine old equipment, this beautifully produced album gives eliot's huge, heart-on-the-sleeve songs a full early 70's, 'new morning' era bob dylan folk/gospel/rock treatment. the tones are on point; thick swirls of organ, sharp points of guitar, low rhythmic bass and drums that shuffle and stomp. these songs are good enough that they would hit you as guitar/voice recordings, but the production here is perfectly realized. despite the tasteful restraint of the sound, the wild, emotional edge behind the jams cannot be fully held back, and the break out moments feel massive. shawna virago is a san fransisco based transwoman singer/songwriter. i normally don't emphasize much about the identities of modern folk contributors but in light of the intolerance, ignorance and hatred that has found an unfortunately loud new space in the american conversation i want to affirm that i am happy to able to feature the music of all types of people here. that stuff aside, the purpose of this post is to encourage you to listen to shawna's music. 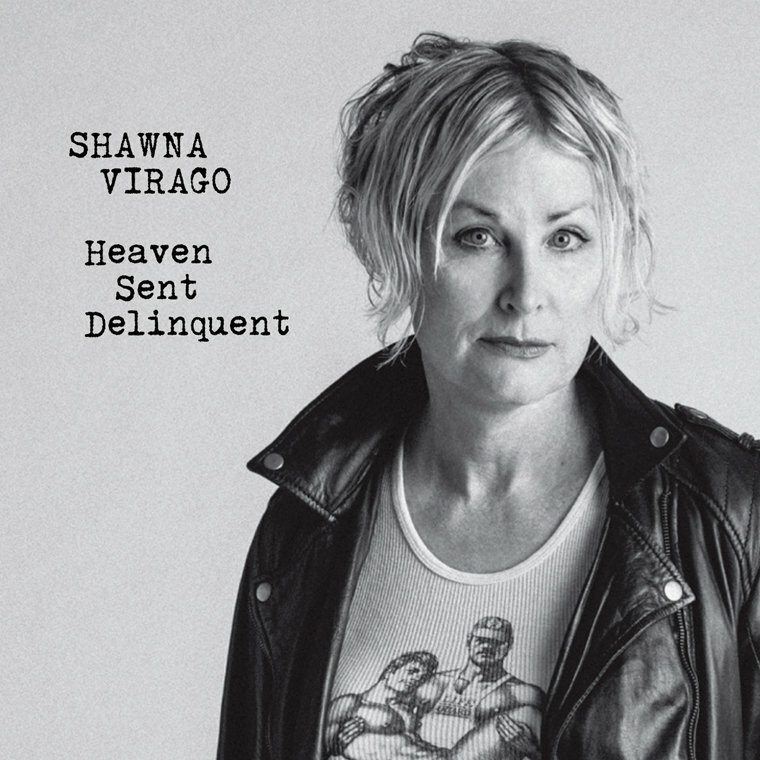 her album 'heaven sent delinquent' is a collection of songs in a classic folk-rooted singer/songwriter style, with emotional and anthemic elements. her lyrics deal with her own struggles and those of other characters who find themselves marginalized just because of who they are in a vast, mythical america. i hear a lot of bruce springsteen in these songs, with a fearless punk edge. the production is simple; voice and guitar with a few overdubs, a style which lets the craft of the songs and the stories within come through. raymond anderson is a portland, oregon singer/songwriter. 'oh, day' is his first recording for the one horse records label. nine personal, moon-lit songs recorded simply into a tascam four track in one night. the stark production style reveals complex songwriting that magnifies and lays bare emotional moments in humble folk melodies. name you price for it here. google-unfriendly brazilian lofi artist beer is back with a new jam/video called 'estrago' (damage). its an low-and-slow rocker drowning in tape haze and homemade psychedelic vibes. it starts with a finger-picked acoustic guitar, but a shambling rock band quickly jumps in. a ride cymbal abides throughout the track creating a continuous, lazy washed out shimmer. recommended. check out more on the bandcamp. 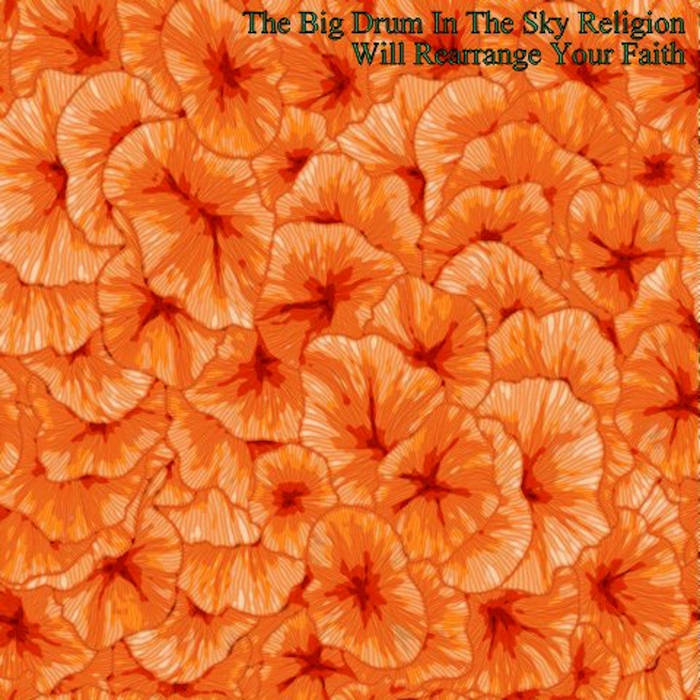 prolific virginia based anarcho-shamanic noise/folk band the big drum in the sky religion is back with a new release called 'the big drum in the sky religion will rearrange your faith' on the centipede farm netlabel. another dose of their trademark blend of clattering, rattling percussion, mystical guitar chaos, and carefully placed samples. i've written about this band a lot and there is not much more i can say by way of describing their sound, but i can say that music this free and ecstatic is a good antidote to our times and reminder that there are some human things that can never be fully suppressed. get it here. name your price for the download or $2 for a DIY CDR. lương huệ trinh is a vietnamese keyboardist and electro-acoustic composer. 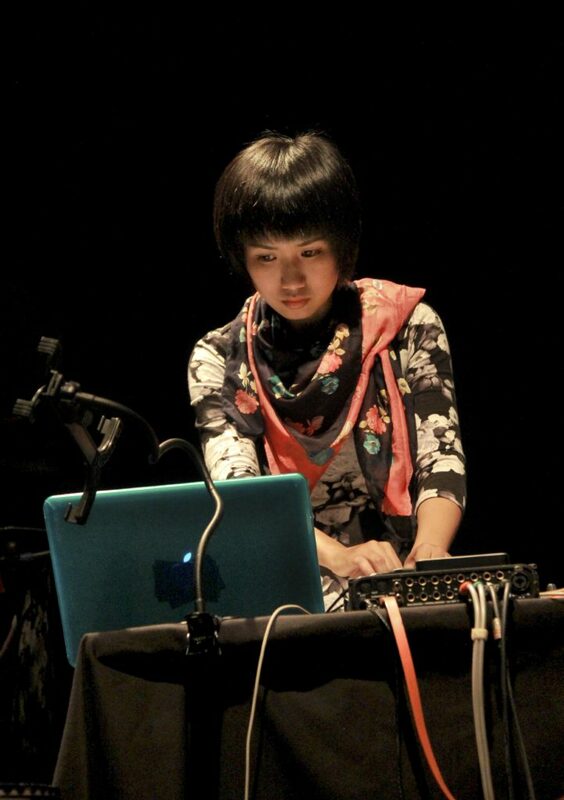 her latest work, 'illusions', uses electronic drones and found sounds to create an abstract interpretation of a type of 19th century vietnamese traditional music called tai tu, which was developed in a time of displacement and is meant to evoke nostalgia. these longform compositions use that tradition as an anchor but drift around it at irregular intervals, sinking into dense drones and rising in a clatter of machine noise. todd fausnacht is a rootsy singer/songwriter from philadelphia. his latest album is called 'keep busy'. 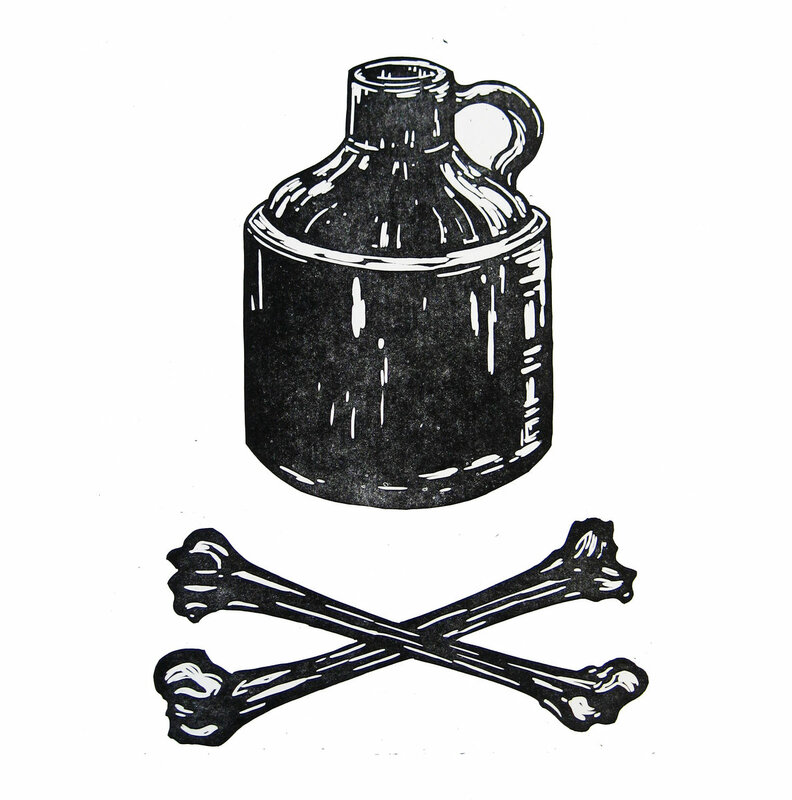 its a collection of concise folk/country jammers with heavy old-time vibes, ranging from stomping jug band wails to high lonesome honky-tonk style country. todd's music calls back to deep american traditions but is not without it's modern innovations, which you can hear in fresh melodies and reverby, almost new wave guitar riffs that pop up at times. highly recommended. get it here, digital or CD. annie and the station orchestra is a scottish experimental rock band. 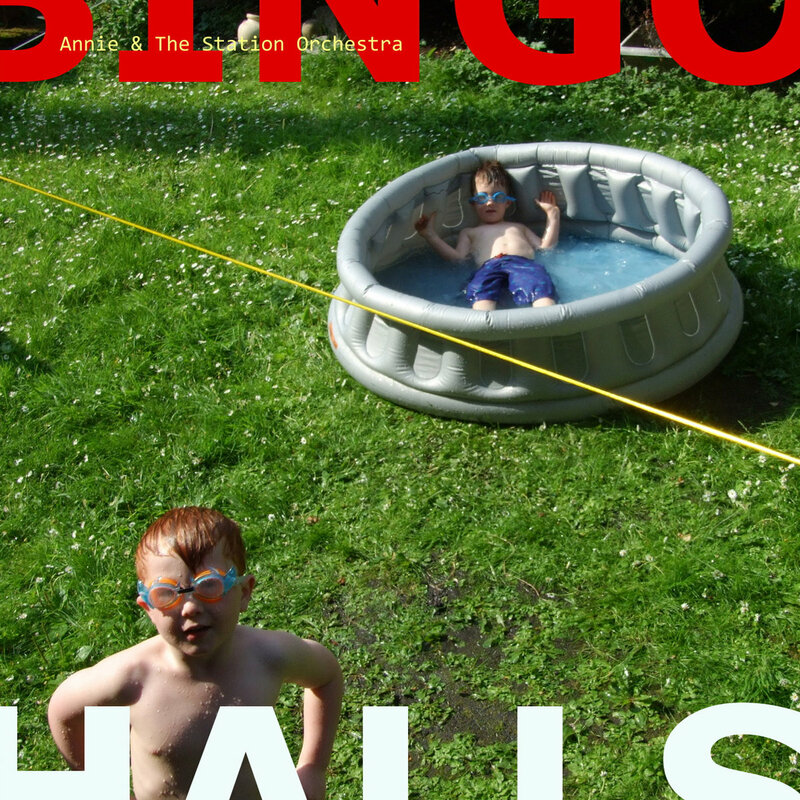 their latest album is called 'bingo halls'. their sound is a noir version of new wave with an injection of more modern hip-hop and dance beats. a tight rhythm section forms the foundation for a shadowy atmosphere formed of spooky synths, twisty guitar riffs and occasional vocals. despite the dark vibes, the vintage synth tones and knowing pop moves keep some whimsy involved. this would be the right kind of music to score a great horror movie that had just the right amount of comic relief. get it here, digital or limited edition CD, from bearsuit records. 'nostalgia', from the EP '4 AM nostalgia', by georgia based singer/songwriter victor perry is a modern pop torch song with pro ambitions. the production is slick and victor has a high, clear voice with an impressive range. the song begins with just voice and piano (you can picture the singer at a baby grand in a spotlight), later adding strings, and ending with backup singers and drums in a big finale. there are some heavy vocal flourishes at the climax of the song. check out the soundcloud for more. hannah rose baker is a singer/songwriter from boston. 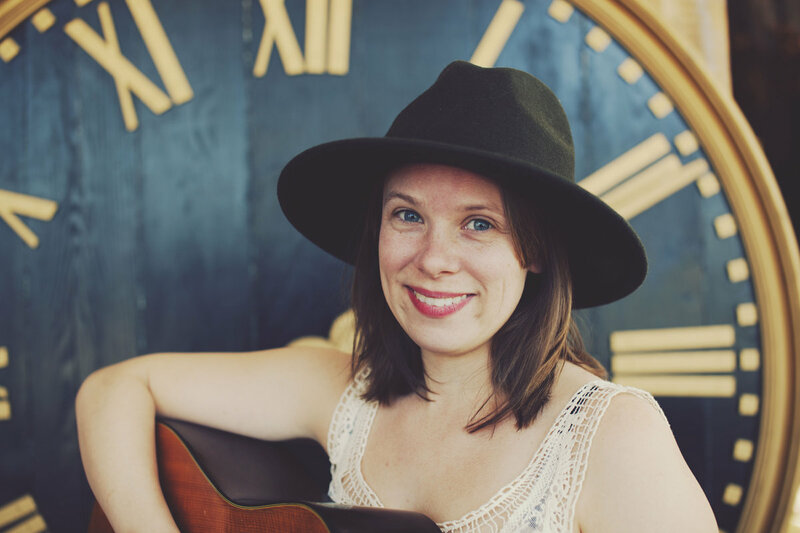 her debut EP, 'hannah rose', is a tight collection of contemporary americana that draws heavily on the sounds of old nashville. mournful pedal steel and hannah's own fiddle saw away behind lonesome vocal harmonies. the original songwriting is equally as steeped in the traditions of american roots music. you could easily two-step across the floor of a honky-tonk to this EP. 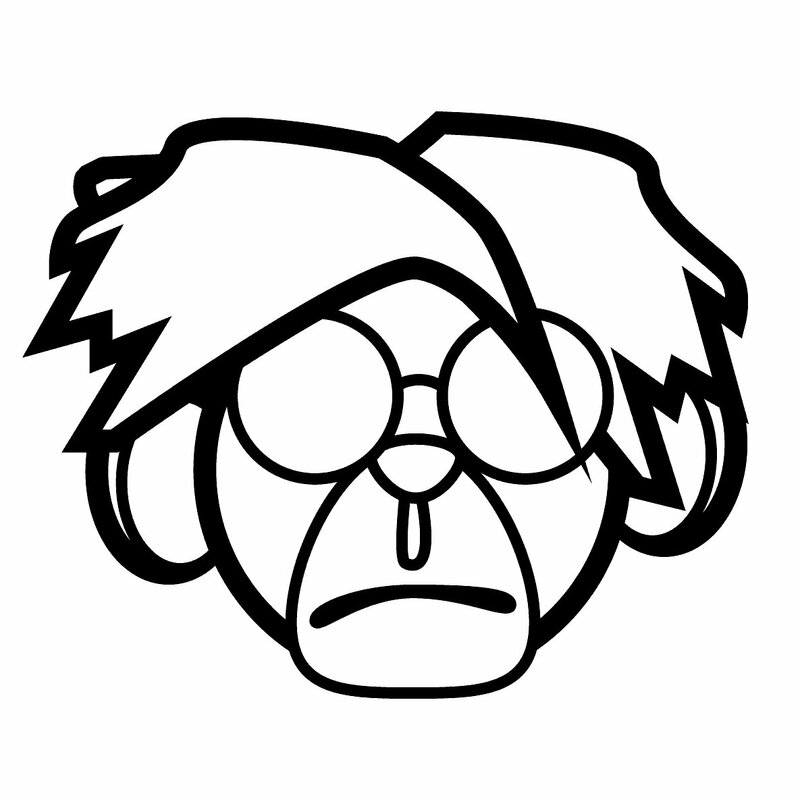 monkey warhol is an electronic music artist based in minneapolis, minnesota. his compositions have high bpm, dance ready beats, fleshed out with aggressive synth action, some harsh tones, vocal samples and catchy hooks. 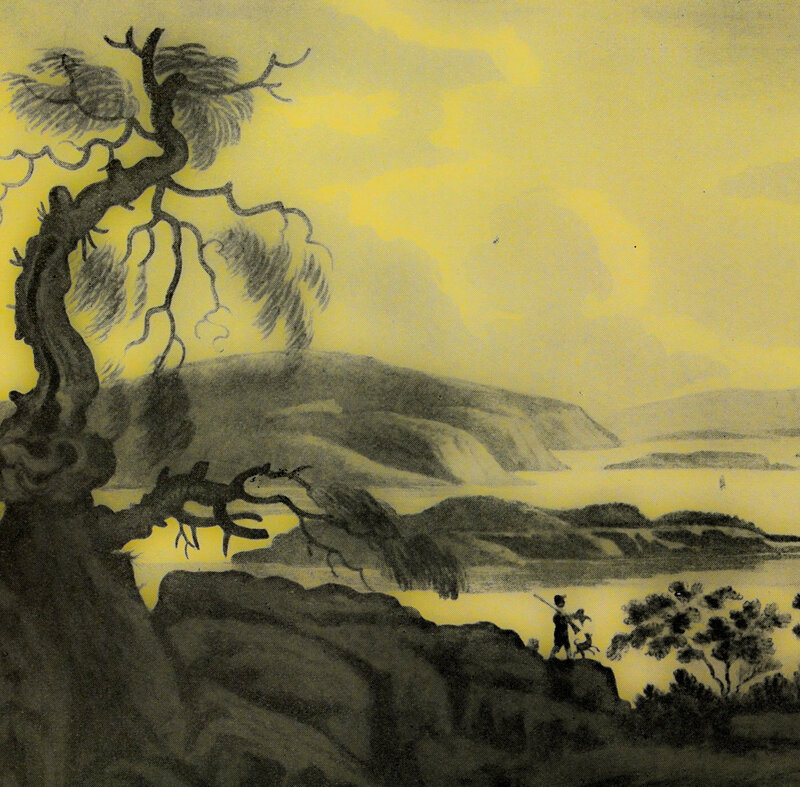 trees take ease is a brooklyn based recording project working in the lofi/bedroom/experimental folk vein. their latest album, available now on limited edition cassette, is called 'the alternative is nothing'. the sound is gauzy, whispery, highly melodic psych/folk with high pitched, distant vocals and touches of subdued noisy experimentation around the edges, sometimes in the center. good music for the cold winter mornings to come in the near future. 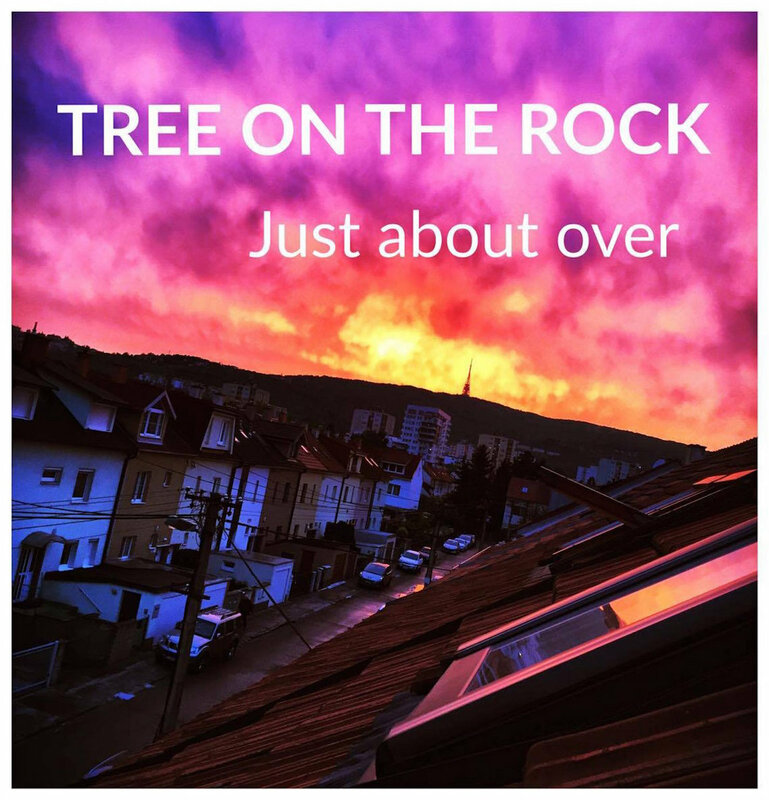 tree on the rock is a slovakian rock band. their debut album 'just about over' is out now on polish label resonating wood records. the sound is tight, power trio indie rock with power-pop leanings. the vibe is dark and moody. recommended. 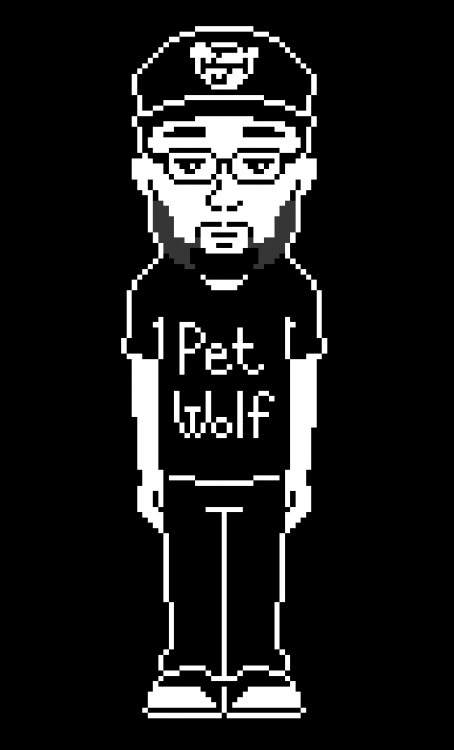 pet;wolf is producer and rapper who hails from 'jupiter, america'. his debut track, 'dance with the devil' is a dark jam with a minimal beat based on a funky drum sample and a grinding synth bass, and the ominous hook 'you don't wanna dance with the devil cause the devil don't two step'. pet;wolf's flow is deadpan but not overly technical, the controlled release of emotion that characterizes the best rap performances is there. I like this song a lot, kinda wish there was more pet;wolf to listen to right now. check the soundcloud for what comes next. lebo jenkins is an atlanta, georgia based musician who specializes in ghostly, psychedelic appalachian music. his latest album, 'i'll fly away' features a number of collaborators bringing in some weirdo instrumentation. the banjos and lap guitars are joined here by musical saw, keyboards and synthesizers for an extra dimension of space. music for drunkenly staring up and spotting UFOs with your feet on the ground on top of a bald mountain in north georgia. highly recommended. micah huang is an LA based musician. his album 'primitivism' is an exploration of mystical and musical roots of american folk traditions. it includes a few well worn traditionals ('freight train' and 'trouble in mind', actually two of my favorite songs ever), along with some improvised songs in traditional modes. these live voice and guitar performances are recorded in a very raw manner, the rough country blues style finger picking at times almost fading into the ambient haze, in a way that's reminiscent of recordings from the 20's and 30's, the sources from which this material was mined. micah is also possessed of a great voice to interpret this music. highly recommended. 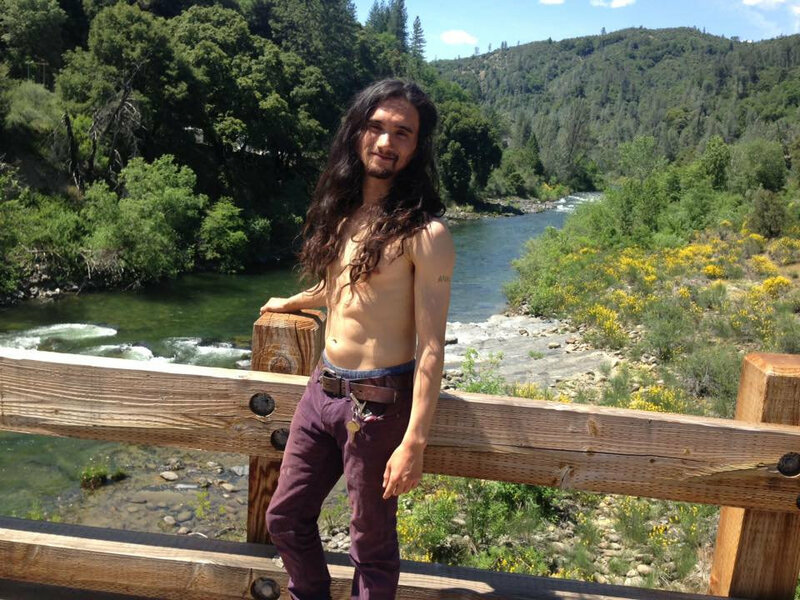 joseph waya is a singer/songwriter and folk musician based in portland, oregon. his latest album is called 'understand', available now digitally. the music has a distant, hazy feel, mostly just guitar and voice with a deep shine of reverb. this is the sound of the melodies of ancient america played back slowly through a psychedelic kaleidoscope. the mood is of deep sorrow, relentlessly forlorn, with only moments of dark comedic relief in the cosmic country lyrics. good stuff. leisa haddad is a brooklyn, new york based singer/songwriter. her debut album is out now digitally and is called 'the invisible woman'. leisa's music is sophisticated, thinking person's folk/pop. there is a lot of wit in her literary, personal lyrics, and they are delivered in a clear voice with a wide emotional range, from deadpan humor to vulnerable sorrow. a tasteful trio of guitar, bass and drums, with occasional guitar embellishments, backs her up. these wistful tunes are what i would call 'late night/early morning songs'...full of a potent mix of hope and regret, a place where opposites become the same thing. in her email to me, leisa said she 'prayed to the ghost of lou reed'...they share a certain expertise at that 'late night/early morning' vibe. recommended. i have covered many digital releases by UK noise punks unqualified nurse band over the years. 'debasement tapes' is their first full length LP, out now on vinyl from reckless yes records. this is by far the most polished unqualified nurse band release. the songs remain short and angry, but the sense of songwriting and melody is tightened. the music winds around snaky post-punk grooves from the rhythm section (a newer addition, many early releases seemed to be just guitar and voice), with sneery vocals buried in effects and noisy bursts of guitar solos. 'debasement tapes' shows a musical range not foreshadowed by their previous work. highly recommended. the virginia southpaws are a roots/rock band from, you guessed it, virginia. their self titled debut album is twelve tracks of non-stop, gritty rock with plenty of southern flavor baked into it. there are some serious lynyrd skynyrd vibes. the influence of country music can be felt heavily in the subject matter and swagger of the songs, and the blues can be heard in the guitar playing, which frequently employs some nice slide licks. the rhythm section is pure rock'n'roll. there are a few folksier acoustic numbers as well, with touches of bluegrass instrumentation. these guys would sound very in-place as local openers for neo-southern rock champions, drive-by truckers. 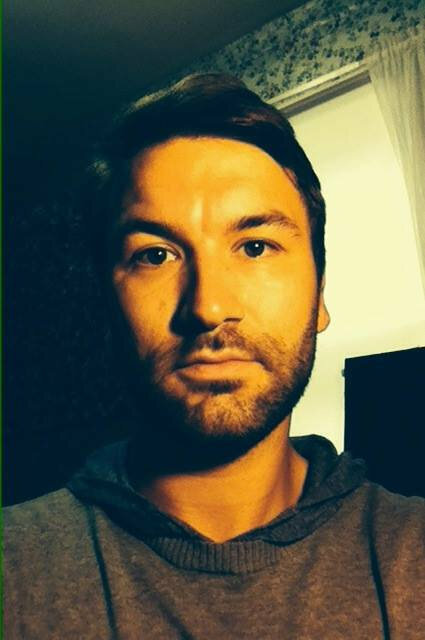 jon worthy is nashville, tennessee based singer/songwriter. his latest album is called 'may you live happily ever after'. the album has high production values, with a capable rock band backing up these well put together verses and choruses. the featured jam, 'like the wind', even features an elvis costello-esque white guy reggae strut. throughout the ten tracks, jon shows his songwriting range from slow-jamming ballads to country-inflected rockers, but the overall wheelhouse is heartfelt, classically styled rock'n'roll.